2005 was a politically complex year for Nepal. The year started out with three forces at loggerheads. The three forces were all at cross purposes. The royalists imposed a dictatorship. The Maoists were waging a violent struggle for one party rule. The democratic parties were squeezed by both. The business at hand was to get the royalists out of the way, and that could come about if the other two camps could join forces, and the other two camps could not join forces as long as the Maoists kept waging a violent struggle for one party rule. That violence had to come to an end first, and a political road map had to be agreed upon. The big parties like the Nepali Congress and the UML were opposed to the idea of a constituent assembly. But that was the only meeting ground. And that is what came to be. But first the Maoists needed to cease violence. I argued that the Maoists needed to declare a ceasefire. Then it was but expected that the royalists will try to get them to break that ceasefire. It still made tremendous sense for the Maoists to continue with the ceasefire, and they did. That is what made talks between the Maoists and the democrats possible. And then the onus shifted to the democrats. Unless they agreed to the idea of a constituent assembly, there was not going to be an alliance with the Maoists. They reluctantly agreed. The alliance happened. And that prepared ground for the historic April 2006 revolution. That revolution could not have come about without the alliance. The reason I am talking the history of 2005 is that has lessons for today. Just like the Maoists went for the unilateral ceasefire back in 2005, they should now unilaterally declare they are for a constitution that will turn Nepal into a multi-party democracy of state funded parties, that they are for an ideological fusion of the two competing political ideologies of the past century, and that after that there will be no revolution, only elections. They should steer their movement towards that goal. Change of government has to become a secondary concern. Once Nepal is turned into a multi-party democracy of state funded parties where the book keeping of all parties is public, transparent, you can achieve land reform peacefully. You win elections, pass bills in the parliament. Power flows through the ballot box. Power does not flow through the barrel of a gun. But power only flows through the ballot box if Nepal is turned into a multi-party democracy of state funded parties. All parties agree to turn Nepal into a multi-party democracy of state funded parties. The Maoists declare there will be no revolution after that, only elections. 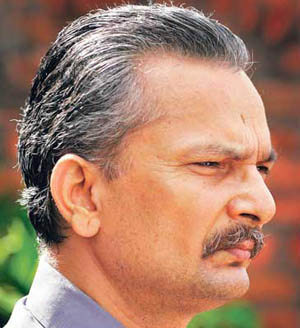 Form a national unity government of the 10 largest parties in parliament in Baburam Bhattarai's leadership. Come up with a common minimum program. Extend the constituent assembly's term by six months.